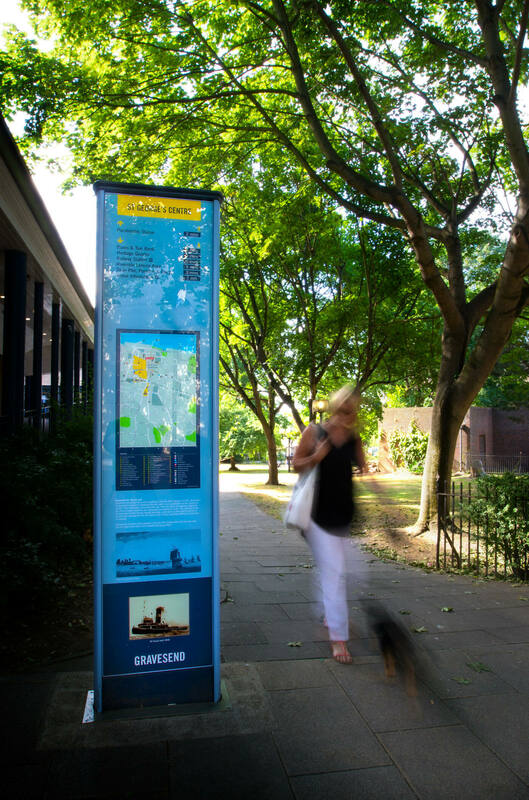 When the good people of Gravesend went about their business one morning they were met with a surprise – five way-finding monolith signs had sprung up across the town “overnight”. But who was responsible? A team of Reade Signs fitters, going the extra mile to give our clients exactly what they want. Municipal signs pointing to the post office or the park can just be functional or they can add something to the environment. 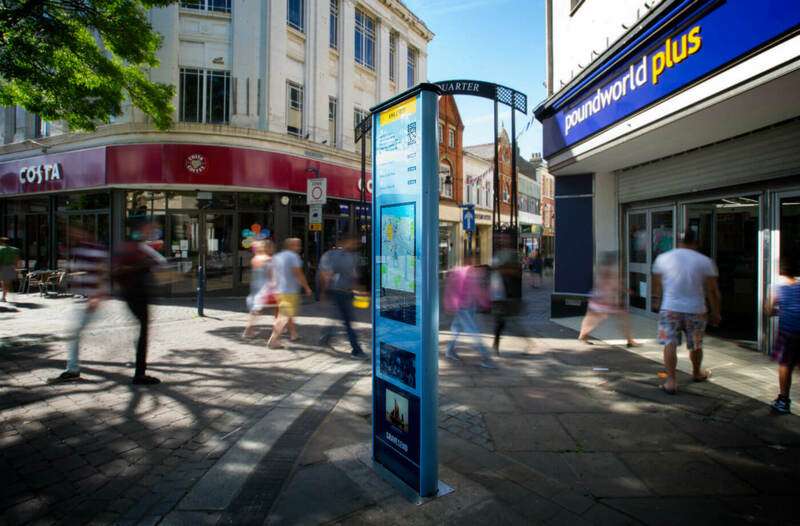 At Reade Signs we always enjoy working with local authorities who want to make public spaces more attractive while providing a public wayfinding service. 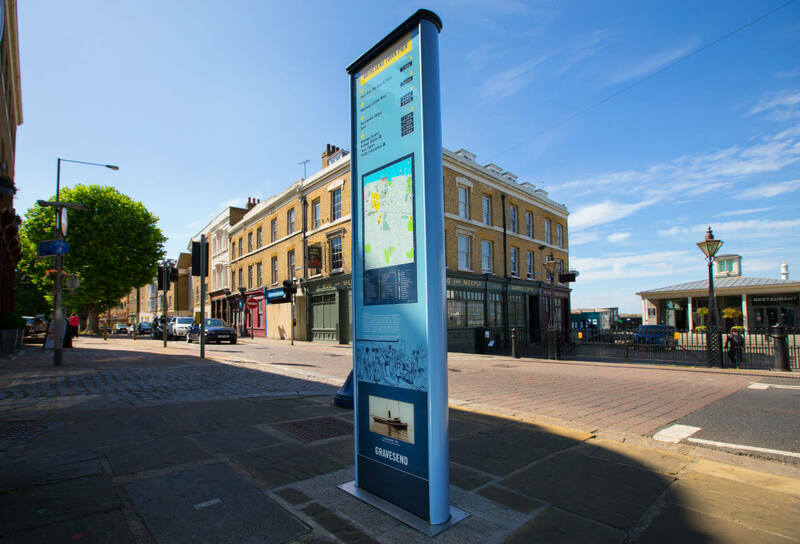 Gravesham Borough Council asked Reade Signs for a series of monolith signs, which feature historic images and inform the public about Gravesend’s rich historic connection with the Thames. The council wanted the monoliths to be put in place with as little fuss or disruption as possible in the run-up to last Christmas. So, rather than spend weeks fencing off pedestrian areas one at a time to install the concrete foundations and signage, we did all the groundwork first, setting a custom ground cage and frame into concrete foundations at the various locations around the town. We then fitted a temporary cover plate over each one so that pedestrians could safely walk over them. Our fitting team installed all the monoliths in one day, simply “plugging in” and bolting them down into the waiting sockets so they seemed to appear overnight to the public. Not only did the plan add to the wow factor but it cut down inconvenience to the public and saved the council money by avoiding the need for expensive route closure licences. 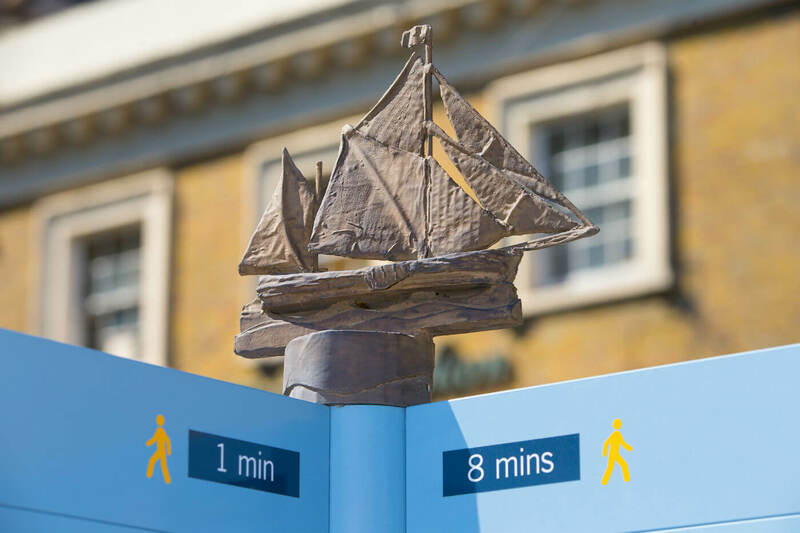 We also refurbished the town’s existing 11 tourist finger-posts and added seven more with a modern sign system incorporating a beautiful finial on the top of each one in the shape of a Thames barge. 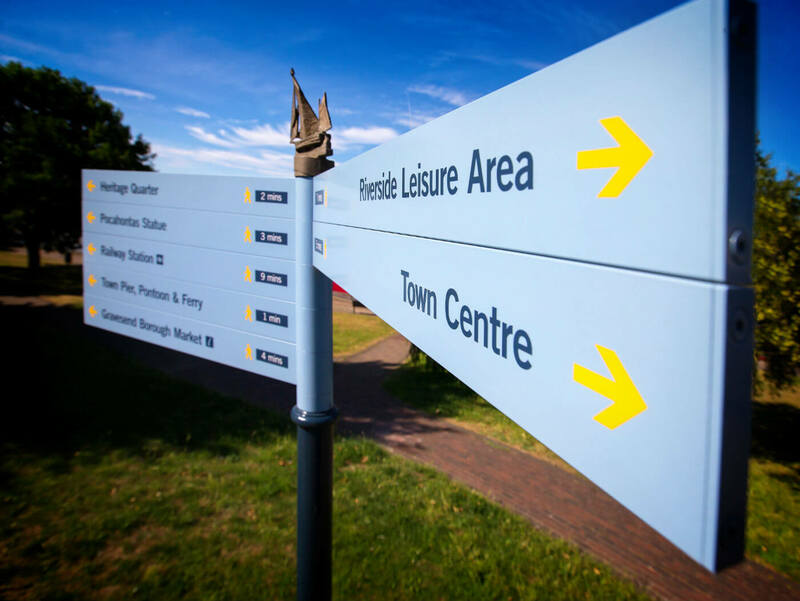 The council commissioned the unique sculpture and we then developed several prototypes for a custom mounting point and corresponding base plate for all of the signs, coming up with a design that allowed the two parts to come together seamlessly. If you’d like more information or advice about how we can help enhance your local environment then please contact us, email [email protected] or ring 01252 336000.